“We’re looking for brand new travellers to join the adventure of a lifetime. For your chance to take free holidays around the world, apply here!” a casting notice reads. You must be a group of 2 to 4 people, aged 18 or over. You must be able to travel between July and November 2019. All applicants must be Australian citizens or have been a permanent resident for at least two years. Strangely, the notice does not ask if you have a passport! 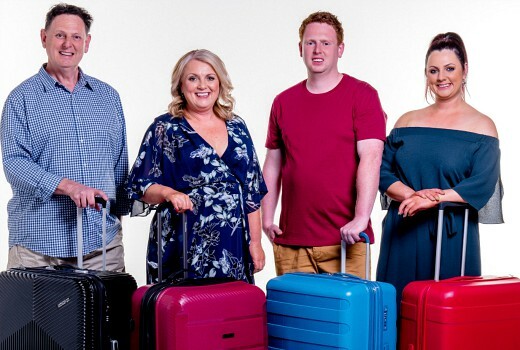 Nine’s Head of Content Production and Development, Adrian Swift, said: “Forget spending hours trawling the internet for holiday ideas when our Travel Guides can do it for you and make you laugh along the way. I like all of them except for the newly married couple. Maybe try adding a more experienced travellers apart from the snobby couple. Although of course, after three seasons, all of them are experienced travellers by now. Hoping for the Cowboys and the Indian couple leave! As with Gogglebox you need to refresh with new people. I grew tired of many of the armchair TV critics on Gogglebox. I feel Travel Guides will lose popularity as a program if they do not introduce new travellers for the next series. Sunny,would you like to see the whole cast changed over or just some? Just some. Get rid of the snobby couple and the 2 country gals. Keep the Frens. I quite like the ‘snobby’ couple, they provide a much needed balance since most of the cast don’t have a taste for the finer things and they are generally prepared to try different foods, while taking in the local culture. While I love the Frens and the two sisters, they’re not always as keen to try the ‘local food’ etc. The three boys on the other hand do and have been a great addition. I’m still getting used to the newly married couple.